Earlier this week, five students were injured after one CMS school bus rear-ended another CMS school bus in west Charlotte. The five injured students were taken to the hospital with minor injuries. Fortunately, no one was seriously injured, but what if you were? Who would be liable for damages and how would you go about collecting them? If you were injured in a motor vehicle accident with a bus owned by a private company, the company could be liable for injuries caused by the bus driver’s negligent acts through the doctrine of vicarious liability. In North Carolina, the doctrine of vicarious liability holds that the actions of a principle’s agent are treated the same as if the principle had acted. So vicarious liability could also make the school district responsible for the bus driver’s negligent acts. But there’s one more issue that comes up when we talk about filing suit against any government entity - sovereign immunity. Historically, sovereign immunity made the government immune from any lawsuits. These days, different governments have waived their sovereign immunity to certain extents. This is generally addressed by statute. and which driver was at the time of the alleged negligent act or omission operating a public school bus or school transportation service vehicle in accordance with G.S. 115C-242 in the course of his employment by or training for that administrative unit or board, … . The liability of such county or city board of education, the defenses which may be asserted against such claim by such board, the amount of damages which may be awarded to the claimant, and the procedure for filing, hearing and determining such claim, the right of appeal from such determination, the effect of such appeal, and the procedure for taking, hearing and determining such appeal shall be the same in all respects as is provided in this Article with respect to tort claims against the State Board of Education except as hereinafter provided. Any claim filed against any county or city board of education pursuant to this section shall state the name and address of such board, the name of the employee upon whose alleged negligent act or omission the claim is based, and all other information required by G.S. 143-297 in the case of a claim against the State Board of Education. Immediately upon the docketing of a claim, the Industrial Commission shall forward one copy of the plaintiff's affidavit to the superintendent of the schools of the county or city administrative unit against the governing board of which such claim is made, one copy of the plaintiff's affidavit to the State Board of Education and one copy of the plaintiff's affidavit to the office of the Attorney General of North Carolina. All notices with respect to tort claims against any such county or city board of education shall be given to the superintendent of schools of the county or city administrative unit of which such board is a governing board, to the State Board of Education and also to the office of the Attorney General of North Carolina. (b) The Attorney General shall be charged with the duty of representing the city or county board of education in connection with claims asserted against them pursuant to this section where the amount of the claim, in the opinion of the Attorney General, is of sufficient import to require and justify such appearance. (c) In the event that the Industrial Commission awards damages against any county or city board of education under this section, the Attorney General shall draw a voucher for the amount required to pay the award. The funds necessary to cover the first one hundred fifty thousand dollars ($150,000) of liability per claim for claims against county and city boards of education for accidents involving school buses and school transportation service vehicles shall be made available from funds appropriated to the State Board of Education. The balance of any liability owed shall be paid in accordance with G.S. 143-299.4. Neither the county or city boards of education, or the county or city administrative unit shall be liable for the payment of any award made pursuant to the provisions of this section in excess of the amount paid upon a voucher by the Attorney General. Settlement and payment may be made by the Attorney General as provided in G.S. 143-295. (d) Except as otherwise provided in this subsection, the Attorney General may, upon the request of an employee or former employee, defend any civil action brought against the driver ... of a public school bus or school transportation service vehicle ... when the driver ... is employed and paid by the local school administrative unit, ... or when the driver is an unpaid school bus driver trainee under the supervision of an authorized employee of the Department of Transportation, Division of Motor Vehicles, or an authorized employee of a county or city board of education or administrative unit. The Attorney General may afford this defense through the use of a member of his staff or, in his discretion, employ private counsel. The Attorney General is authorized to pay any judgment rendered in the civil action not to exceed the limit provided under the Tort Claims Act. The funds necessary to cover the first one hundred fifty thousand dollars ($150,000) of liability per claim shall be made available from funds appropriated to the State Board of Education. The balance of any liability owed shall be paid in accordance with G.S. 143-299.4. The Attorney General may compromise and settle any claim covered by this section to the extent that he finds the same to be valid, up to the limit provided in the Tort Claims Act, provided that the authority granted in this subsection shall be limited to only those claims that would be within the jurisdiction of the Industrial Commission under the Tort Claims Act. (4) Defense of the action or proceeding would not be in the best interests of the State. One main difference between suing the government in a school bus accident and suing a private company is that instead of filing a lawsuit with a court, you file a claim with the North Carolina Industrial Commission. But under the Tort Claims Act, you have the ability to appeal the Commission’s finding to the North Carolina Court of Appeals. Under the statute, the Attorney General (or someone he appoints) represents the bus driver. Similar to the general vicarious liability doctrine, the Attorney General should refuse to defend the bus driver if the bus driver’s negligence act was committed outside of the scope of his employment. The statute also excepts acts of “actual fraud, corruption or actual malice” on the part of the bus driver. The statute of limitations on actions brought under the Tort Claims Act is similar to a negligence claim brought against a private company. Under G.S. 143-299, an injured party has 3 years from the date of injury to file a claim or 2 years in the event of wrongful death. There’s one more big difference involved in collecting damages for injuries in a school bus accident. It is found in G.S. 143-299.2. This section limits the maximum amount that the state will pay cumulatively to all injured parties for any one person’s acts from any one occurrence, to $1,000,000. So while the doctrine of sovereign immunity doesn’t make the state completely immune from lawsuits, it definitely still provides some protection for government entities. 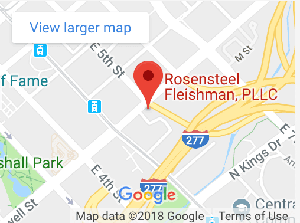 If you have been injured in a bus accident, contact a lawyer at Rosensteel Fleishman, PLLC (704) 714-1450. PreviousPrevious post:Cell Phone Searches in DWI ArrestNextNext post:What is a Vehicle under North Carolina DWI Law?